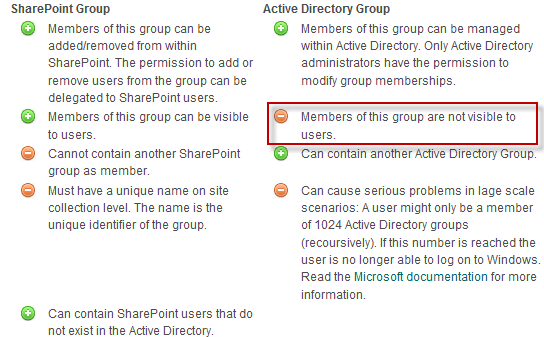 Discovering New Things at the Technology..,: Active Directory Groups vs. SharePoint Groups for User Management. Active Directory Groups vs. SharePoint Groups for User Management. Some advantages and disadvantages of the group types and let you choose what kind fits better for your needs.